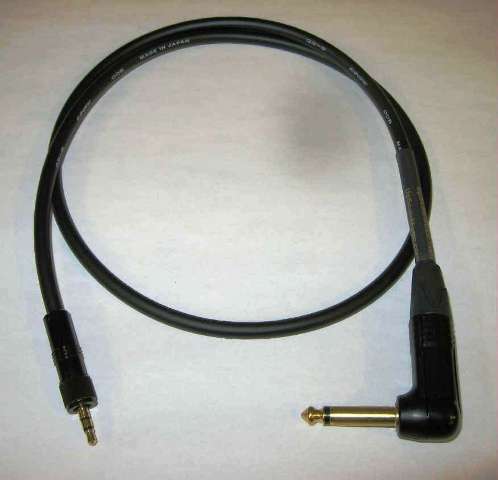 The premier Star Quad cable is the professionals choice for all critical microphone applications. Flexible, satin smooth to the touch and extra strong cable consists of two pairs finely twisted with forty separate strands in each conductor eliminate breakage due to flexing. The Braided shield provides tight RF isolation. Canare Star Quad obtains its name from the 4-conductor style construction that minimizes the “loop area” between twists of the conductors. This “double balanced” pairing, reduces susceptibility to electromagnetically induced noise. The improvement in noise rejection is so noticeable that even SCR dimmer noise (stage lighting consoles) is reduced to less than 1/10 the level found in other 2-conductor microphone cables. Canare Star Quad is designed for use with microphones but is also excellent for all line-level signals (e.g. mixer to power amps). The 4-conductor Star Quad arrangement cancels electromagnetically induced noise from SCR dimmer packs, fluorescent lighting ballasts and AC power transformers. Handling noise is prevented by use of cotton filler material. 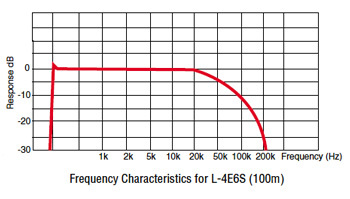 Excellent frequency response is maintained due to special irradiated polyethylene insulation which provides a low capacitance dielectric. Canare Star Quad cable is super flexible. We use large numbers of thin wire strands in the copper conductors and overall braided shield. We extrude a special compound PVC outer jacket that remains pliant at extremely low temperatures with no wait between cold shipping and installation. Canare uses specially formulated PVC compounds that combine to make a tough, strong and durable outer jacket with excellent flexibility. These qualities are retained even at very low temperatures, so Canare Cables will not stiffen or crack. Canare does not use spiral (serve) shields because they can spread apart with use. Our shields are more difficult to manufacture because we use many thin copper strands in a densely woven braid. The shields are super flexible and offer outstanding noise rejection. Canare selects cotton, jute and/or exotic polyester fibers for packing. These fillers prevent stretching and twisting of the inner conductors which can cause noise. Additionally, paper, Mylar and/or cloth tape, bind conductors so cables hold their shape. Canare Cables utilize special polymer compounds that reduce capacitive “R-C” filter roll off within the cable and prevent high voltage breakdown. By irradiating the material, the polymer becomes extensively cross-linked, chemically inert, water resistant, and remains flexible at very low temperatures. Irradiated PEN is superior to ordinary polyethylene because it is heat resistant. Canare insulation will not shrink back, flow or char when soldering, so you save initial and rework time, and achieve more reliable connections. All Canare microphone cables utilize high conductivity, annealed copper wires, stranded to form flexible conductors and shields. The Twisted Pair dual conductors ensure an ultra balanced audio path.